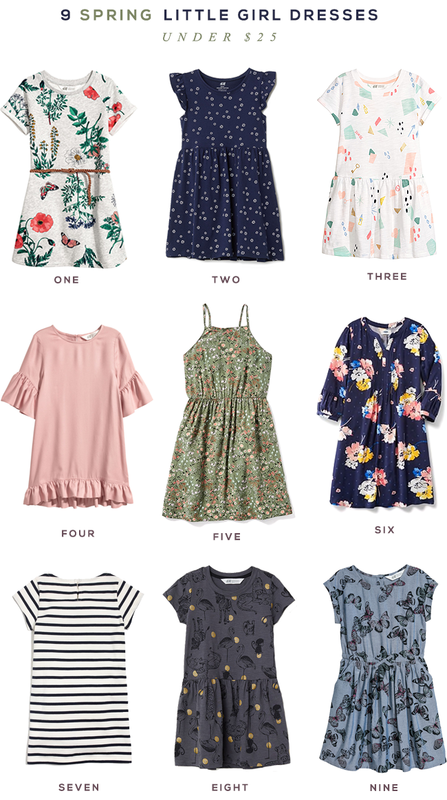 I was always fairly confident that no one could possibly get more excited than I do to see spring dresses hit the racks each February – until Essley turned 4, became obsessed with clothing, and decided that spring dresses are a magical gift from the universe. Between the two of us, the enthusiasm is over the top (and borderline annoying to those around us, I’m sure). The other day we had a fun window shopping session for some new dresses for her for the upcoming season, and I decided to share our favorites with you. I think number eight is my favorite, and Essley says she especially loves number four. They’re all pretty great though, and the fact that they’re all incredibly affordable is a major bonus. I wish some of them were available in my size too. As Essley yelled, loudly, in a store the other day: “Bring it on, spring. We’re ready for cute dresses!” Truth.